The 2nd installment in our "meet the team" series, Jonathan Nesbitt is a Standard Code co-founder and head technologist. He's been coding since middle school (nerd) and is our resident pho master. Technically, my first job was landscaping during the summer when I was 13 or 14. I saved up, bought a Nintendo 64, and played the hell out of Goldeneye 007 for the rest of the summer. My first official, taxable income job was working at Vienna Elementary School as a sort of IT assistant. I basically helped teachers install and use educational software. I was in high school at the time, so I worked for about 2 hours after school every day. I wasn’t exactly balling out of control, but it kept me out of trouble. 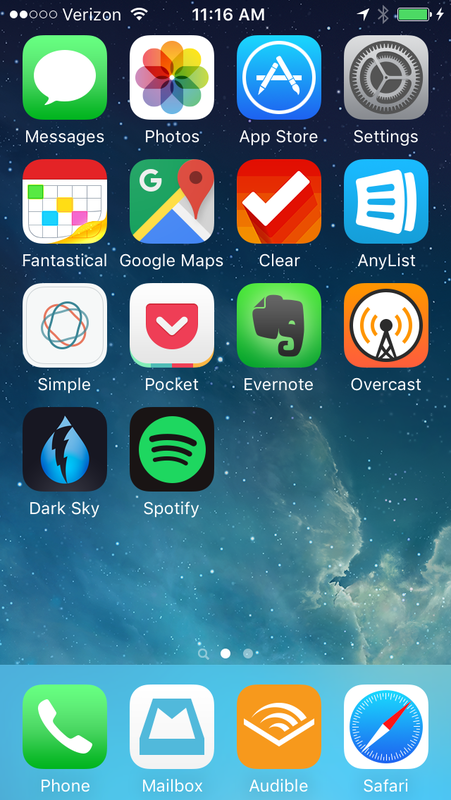 My most used app would either be Overcast (a podcast app) or Audible (an audiobook app). However, if you’re talking about most time spent actually inside of an app and using it, that would be Evernote. Like Jared, I deleted Facebook, and I keep Instagram hidden in a folder on my second screen. Social media is a time-sink, and my time is better spent writing code and building products. My favorite word is definitely scootch. It’s just a cool sounding word, and it’s fun to say. Need some room to sit down on that bench right there? “Scootch!" I wish I had invented the Kindle. I’m a bit obsessed with these little underrated devices. Physical books are great, but the Kindle really helped to boost the amount of time I spend reading and gaining knowledge. It fits almost anywhere, and the battery lasts damn near forever. While Amazon has done a phenomenal job making it quick and painless to get almost any book you could think of on your device (big kudos for Whispernet), they leave much to be desired when it comes to the Kindle UI (user interface) and UX (user experience). Where is the color e-ink screen with big, bold cover art? Why do older purchases keep getting lost at the back of my library? Where is the API for third-party developers? There has to be a better experience, and Amazon is the company that should be doing that. I’m fully bought into the Kindle ecosystem, but I’m stuck with a sucky, outdated UI and UX.